The Shop online for your tuning car parts and accessories where you can buy directly from all Europe. 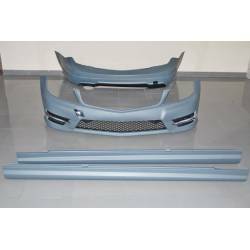 We have a great catalogue of Body kits in ABS and fiberglass for BMW, Audi, Volkswagen and other main marks at the best price. Your specialist in carbon fiber parts for customizing and car performance, with a wide range of components and accessories for modifying sport and prestige cars. First quality in car bonnets, boot spoilers, car interior and wing spoilers. The best offers in head lights, tail lights, day lights and angel eyes. Everything you need for customize your car, for exhibition, racing or simply customize it. Daily shipping to all Europe.